In total, ‘The Living Bog’ has a target for the attribute ‘habitat area’ set at 2,590ha. 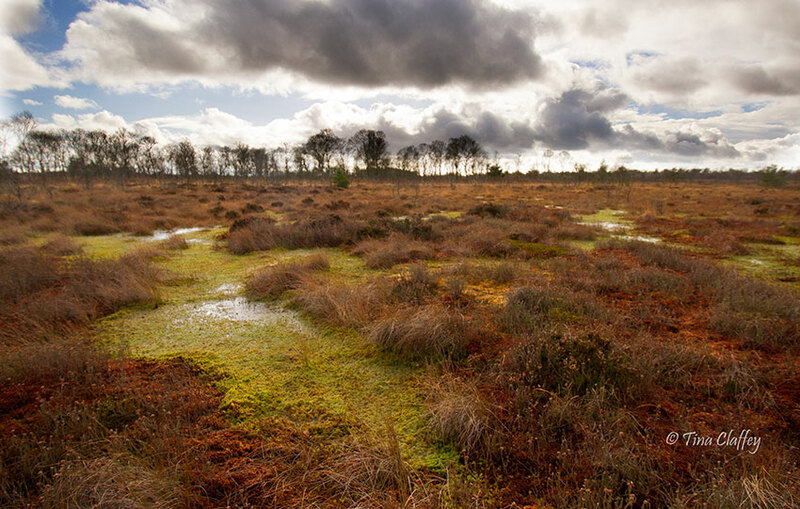 This target is based on the estimated area of Active Raised Bog (ARB) (1,940ha) and Degrarded Raised Bog (DRB) (650ha) present within the SAC network in 1994 (when the Habitats Directive came into effect). In 2014, it was much, much less than that – a total of just over 1,200 ha. The Living Bog will bring the area of Active Raised Bog (ARB) back on Clara to well over a tenth of that. The area of ARB at Clara in 1994 was estimated to have been 146.5ha (surveyed 1992), while the area of DRB is estimated to have been 33.3ha. Using the same approach that has been adopted in setting the national SAC target, the site-specific target for Clara Bog would equate to 179.8ha (sum of both). However, in setting the site-specific target the current hydro-ecological conditions on the bog (including cutover) have been considered in order to ensure that the target being set is based on a realistic appraisal of what is achievable. The most recent monitoring survey of the bog (Fernandez & Wilson 2009) estimated the area of ARB to be 111.5ha. This represents a decline of 35ha (23.9%) during the period 1992-2009. An additional survey undertaken in 2004 shows that this decline occurred during the period 1994-2004, and that in fact, the area of ARB increased slightly during the period 2004-2009 as a result of positive effects including the regeneration of active peat forming vegetation brought about by high bog drain blocking and a reduction of peat cutting intensity (Fernandez & Wilson 2009). Conservation and restoration works in the 1990s involved blocking of many hundreds of surface drains. These are considered to have had a positive effect on ARB. 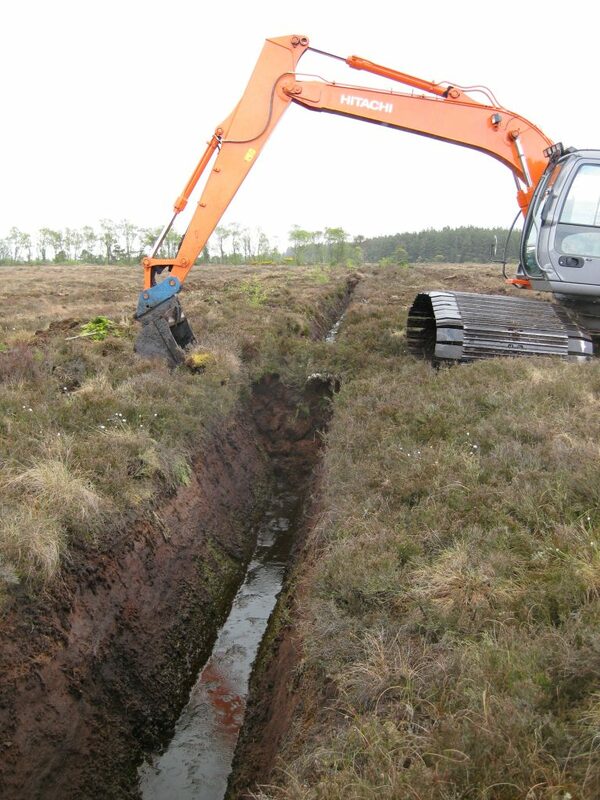 This improvement is happening despite ongoing negative impacts caused by drainage and peat cutting, particularly along the southern section of the bog. Re-allocation of some sections of previously mapped ARB habitat to DRB has also resulted in changes in the distribution and extent of ARB habitat. The current extent of DRB as estimated using a recently developed hydrological modelling technique, based largely on Light Detection And Ranging (LiDAR) data, is 87.6ha. 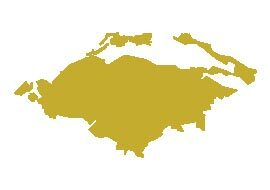 This represents the area of the high bog, which does not currently contain ARB but has topographical and hydrological conditions deemed suitable to support ARB. This area was refined to 61.3ha by estimating the area that could be restored by blocking drains on the high bog. This refinement was based on applying an efficacy factor. Based on the current assessment of the bog above, it is concluded that the maximum achievable target for ARB on the high bog is 172.8ha, which is 7ha less than the estimated area at time of designation. 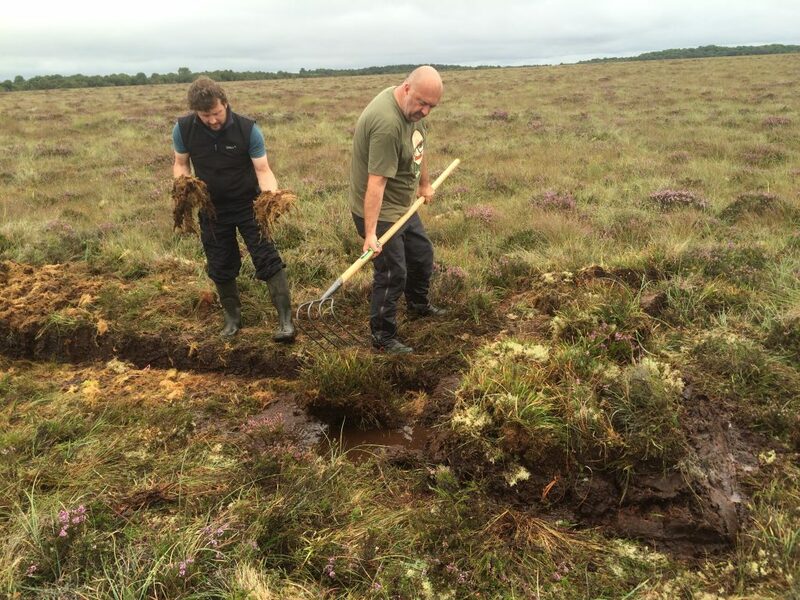 It is expected that restoration of the DRB on the high bog could be achieved by undertaking restoration works on the high bog alone coupled with the positive trends already seen on Clara East due to restoration works. Table 3 Area of ARB and DRB recorded within Clara Bog SAC in 1992, 2004 and 2009 (Source: Kelly et al. 1995; Fernandez et al. 2005; Fernandez & Wilson 2009). The objective in relation to Structure and Functions (S&Fs) is that at least half of the ARB area should be made up of the central ecotope and active flush (i.e. the wetter vegetation communities). DRB still capable of regeneration should be capable of regeneration to ‘active raised bog’ in 30 years if appropriate measures are put in place (i.e. no major impacting activities are present and any necessary restoration works are implemented). In the past the habitat area was considered to be all high bog not considered to be active, but this is now not accepted as much of the high bog can no longer be restored to active. The remaining non-active high bog is considered supporting habitat for the Annex I habitats on the high bog. This supporting habitat is an essential part of the hydrological unit necessary to support ARB and DRB habitats. The restoration of suitable cutover areas is essential for ARB to achieve the favourable conservation condition at the site. A long period of time (i.e. over 30 years) may be needed after appropriate restoration works are undertaken on the cutover areas for the habitat to develop.